* Dog Catching Frisbee is a great way to provide exercise and fun for you and your dog! * It is durable enough to withstand regular wear and tear and constructed with non-toxic plastic material. 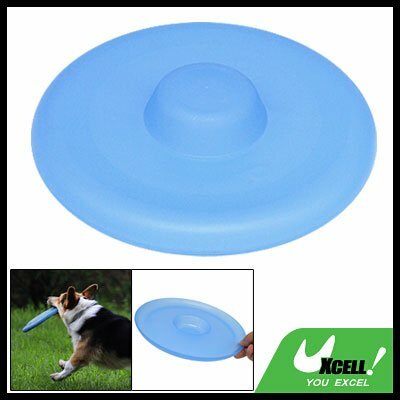 * This Dog Training Frisbee has enough weight to throw long distances and yet is will not hurt your dogs mouth. * Get some exercise for you and your dog! * Washable, this Plastic Dog Toy is accommodate for small and medium dog.